The Maritime Aquarium is the only aquarium focused on Long Island Sound. From this core, it explores related animals and conservation issues from around the world. Its exhibits, admired for their quality and dramatic elegance, are carefully designed to give people of all ages entertaining, educational, and emotional experiences with animals in order to instill a sense of wonder in the diversity of nature. A constantly evolving facility, The Maritime Aquarium offers visitors personal interactions with animals and interpretation by knowledgeable staff and volunteers. With its welcoming atmosphere, focus on service to visitors, and outstanding amenities, The Maritime Aquarium is the premiere family destination in the region, attracting large numbers of return visitors. As it grows, it retains its intimate scale, and remains a beloved institution with deep ties to its community. Anchored by its collection, The Maritime Aquarium offers a preeminent visitor experience and education programs widely admired for their depth and innovation. The Maritime Aquarium supports an active collaborative research program on species and natural systems related to its collections. It is a regional forum for dissemination of information related to Long Island Sound and the oceans. The Maritime Aquarium’s ultimate goal is to help people recognize that Long Island Sound enriches the quality of their lives, and must be protected. Passion: For the animals in our care, for our visitors, for our work, for nature. Warmth: In our welcoming interactions with visitors. Pride: In our work, in our service to visitors and the community. Respect: For our visitors, staff, colleagues, and constituents. Integrity: In all our dealings with ourselves and others. Teamwork: To collaboratively reach and execute the best decisions. Innovation: To solve problems unconstrained by the status quo. Excellence: In everything we do. In the mid-1970s, the city of Norwalk under the direction of then-Mayor William Collins undertook the South Norwalk Revitalization Project. The goal of this program was to preserve the historic architecture of South Norwalk (affectionately dubbed "SoNo") and revitalize the neighborhood. The Washington Street National Historic District was established, and 32 buildings were placed on the National Register of Historic Places. However, it would take more than old buildings to turn SoNo around. Plans were drawn for a major attraction that would bring people and tourism dollars into SoNo. The City of Norwalk and its Redevelopment Agency, along with The Oceanic Society, the Norwalk Seaport Association and the Junior League of Stamford-Norwalk made a major commitment to developing the new maritime center, complete with an aquarium featuring live animals from Long Island Sound, an IMAX theater with a six-story screen and a boat collection. According to a March 2003 Economic Impact Study, the Aquarium's annual economic impact on Norwalk is $20.3 million. 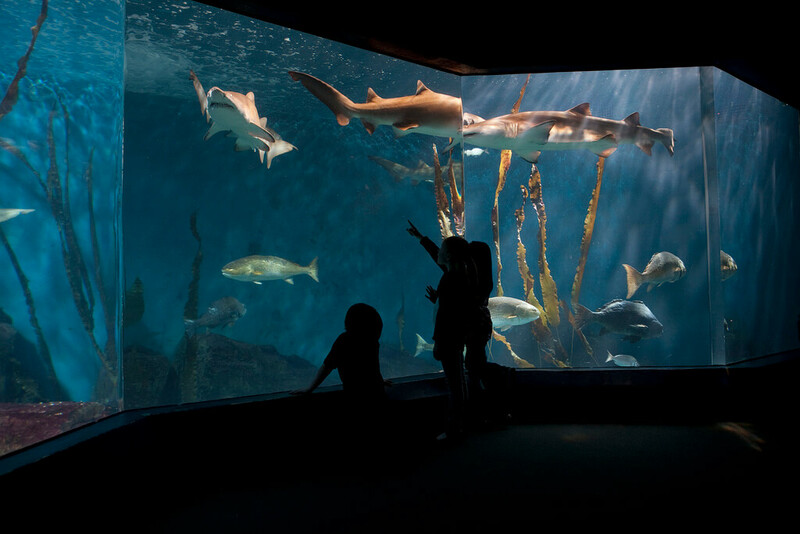 Statewide, the Aquarium's economic impact is $41.8 million. (The dollar figures include visitor spending, jobs in the Aquarium, jobs created outside the Aquarium by its tourist trade, taxes paid by visitors and employees, and other spending.) And as the Aquarium grows, so does our positive impact on the community. The Maritime Aquarium has been at the center of a major turnaround in South Norwalk. SoNo now bustles by day with unique shops, boutiques, coffee shops, and delis, and by night with nightclubs, acclaimed restaurants and cinemas. Annual attendance now averages 500,000 visitors, making it one of the largest attractions in Connecticut (and the largest in Connecticut within 100 miles of New York City). Among the Aquarium's visitors are more than 150,000 schoolchildren on field trips, many of whom participate in marine-science programs offered by an active Education Department. In April 2001, to support the growing number of visitors and educational programs, The Maritime Aquarium completed its first major expansion project. A $9.5 million Environmental Education Center (funded through corporate, private, and state contributions) added new classrooms and high-tech educational equipment, plus a new main entrance, larger gift shop and 180-seat food-service area. Freeing up the former gift shop space also allowed for the addition of sea turtles to the Aquarium's growing animal collection. In 2005, The Maritime Aquarium adopted a new mission statement that rededicated the Aquarium to inspiring its visitors to preserve and protect Long Island Sound and its inhabitants. In February 2012, the Aquarium unveiled a $4.5 million "FINtastic RefurbFISHment" that carried a stronger emphasis on telling the story of Long Island Sound through our exhibits. The transformation included creation of Newman's Own Hall (with a large LIS map and interactive "Found in the Sound" game), as well as dynamic new live exhibits and multimedia displays. In April 2012, the "RefurbFISHment" continued with the opening of a Sharks & Rays gallery, which includes a large Shark and Ray Touch Pool.